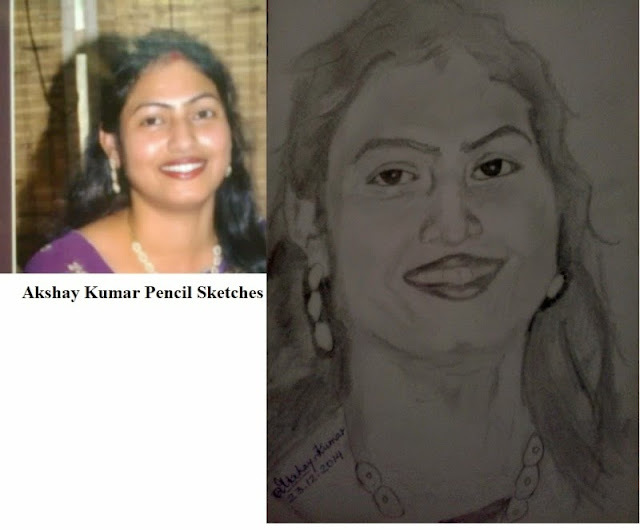 The Portrait was made on the request of Smt Bharti Singh from Ranchi, Jharkand on my Facebook page. Sketched on 23 December 2014. Signed and Dated with ball pen. The picture that was given as the reference picture was not clear, especially the hair on top of the head. The Image was also too small in resolution. Thus I had to draw on my own imaginations. You may also like - Sketch of a Baby from Jodhpur, Rajasthan by Pencil Sketch Artist Akshay Kumar.